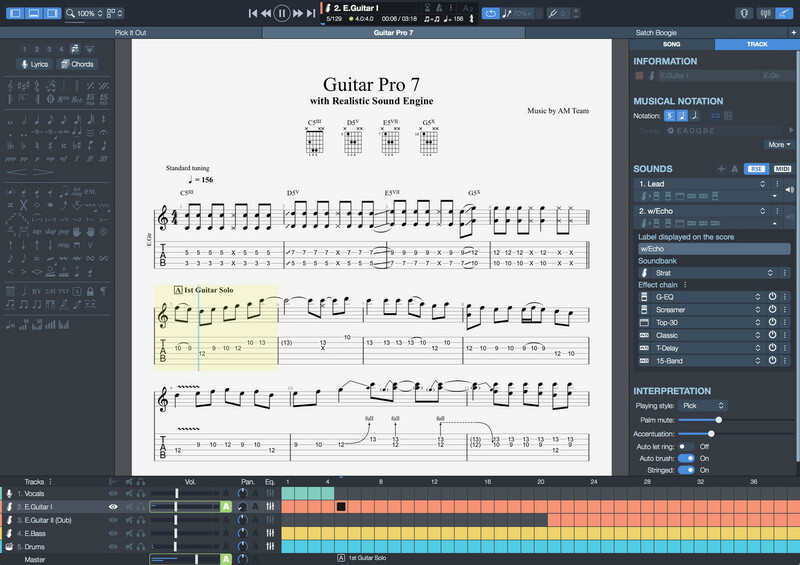 Guitar Pro 7 by Arobas is a complete workshop for any level of musician. Whether you are a beginner or advanced player who is looking to improve your playing, write music, or use a virtual backing band; guitar pro 7 is right for you. 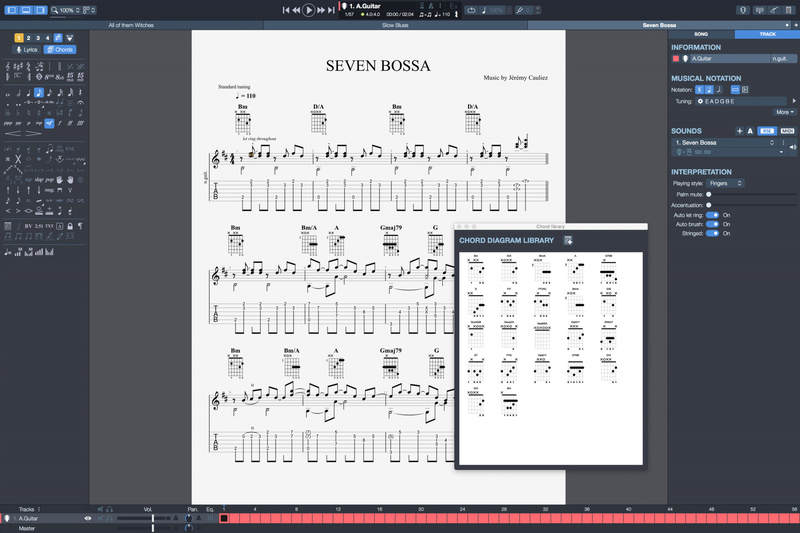 Guitar Pro 7 allows you to edit music scores and tablature for guitar, bass and ukulele, as well as create backing tracks for drums and piano. Guitar Pro 7 is the result of years' worth of development, and aims at meeting the expectations of Guitar Pro users by focusing on the specific needs of musicians. 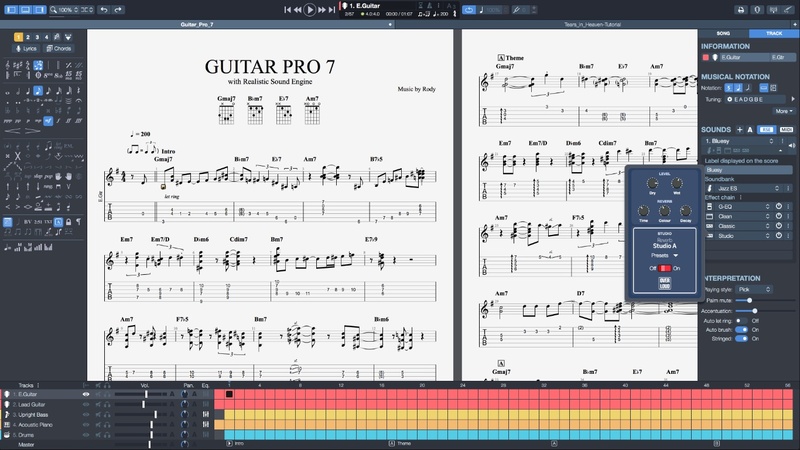 Guitar Pro 7 is a score player helping musicians learn how to play, improve their technique, reproduce their favorite songs or accompany themselves. 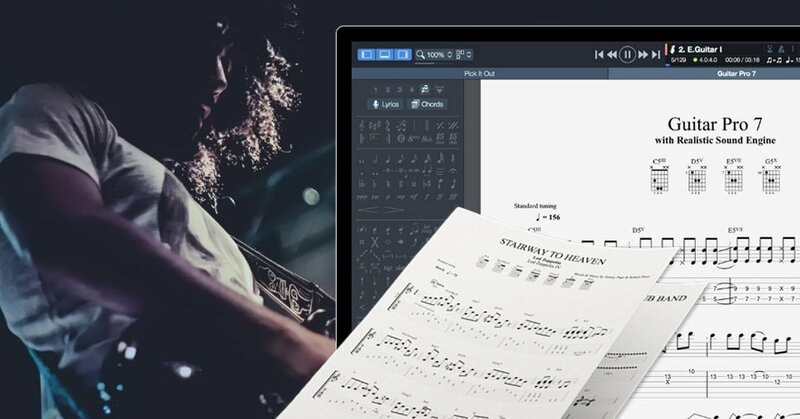 Guitar Pro 7 allows you to compose and read music scores using the musical notation of your favorite instruments. Display the tablature notation to learn guitar riffs or use the standard notation to read music scores for piano, drums, brass and strings. Slash notation is also included to easily sight-read rhythmic patterns from chord charts. Hit play and the tab automatically scrolls on. A highlighted cursor lets you know which note is being played and the sound engine reproduces all the effects specific to the guitar: pickstroking, fingerpicking, bend, slide and ghost notes. Guitar Pro 7 includes a powerful audio engine designed to provide quality playback of sounds and effects of all types of guitars as well as hundreds of other instruments (bass, strings, piano, drums, etc. 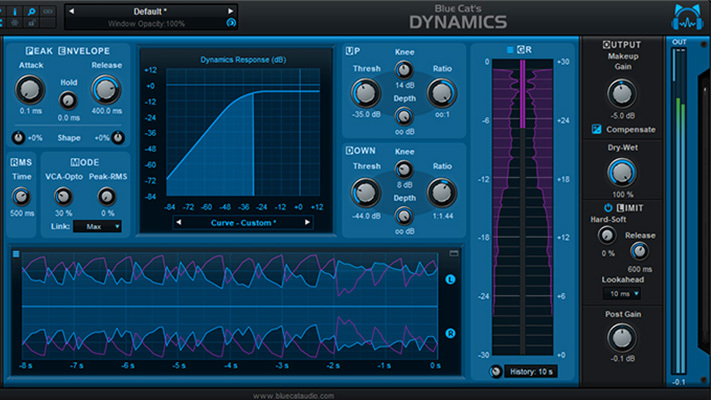 ), from samples and modeled sounds of amps and effect units recorded in a professional studio. Guitar Pro 7 also includes several everyday tools for practice such as: the tuner, the chord engine, the scale engine, the guitar fretboard, etc. Guitar Pro 7 has custom display options; the user has several types of displays they can choose from. A 'page-type' of display for your score, a full-screen mode, or a '2-page' mode. You can also select whichever tracks you want to be visible. Guitar Pro automatically adjusts the vertical placement of the various elements of the score. 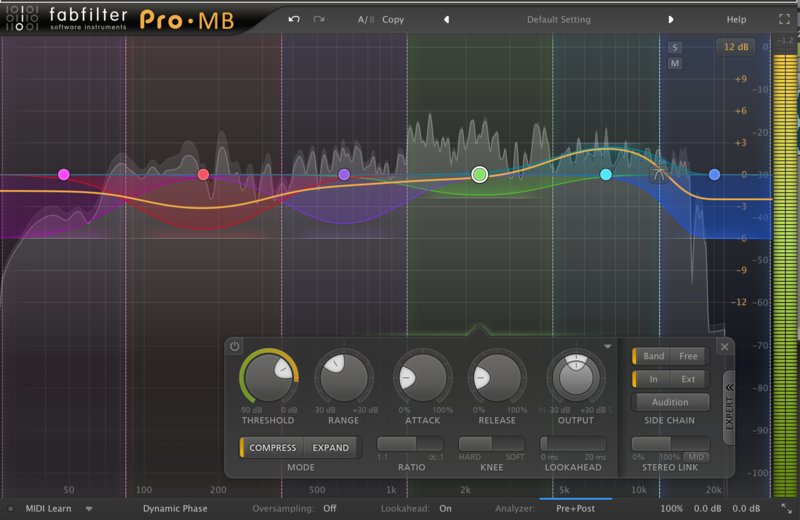 Guitar Pro 7 is optimized for speed and ease-of-use. Automatically adding the barlines and checking the synchronization of various tracks allows the user to remain consistent in terms of musical notation rules and norms. Guitar Pro 7's GUI is made up of several zones that are neatly organized creating an intuitive workflow for the user. The 'Edition palette,' located on the left side of the window, contains all the symbols you need to write a score. Simply click on a button for the corresponding element or attribute to be affected to the notes or group of notes you have selected. The inspector zone is built up of two main components: the 'song inspector' and the 'track inspector.' The 'song inspector' gives the user access to the song properties such as title, artists, album, etc. 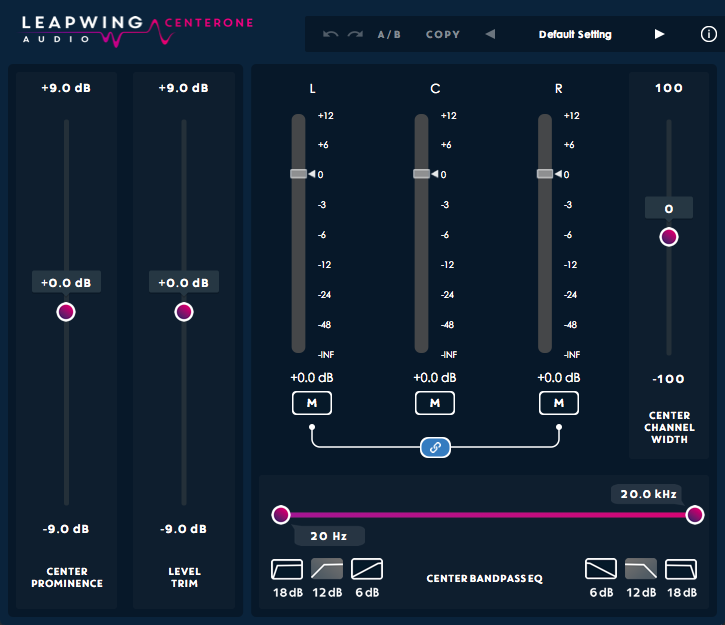 The 'song inspector' also allows you to control the mastering parameters for all tracks within your composition. The 'track inspector' gives the user access to the selected track properties including: notation, tuning options, sound settings and interpretation settings. 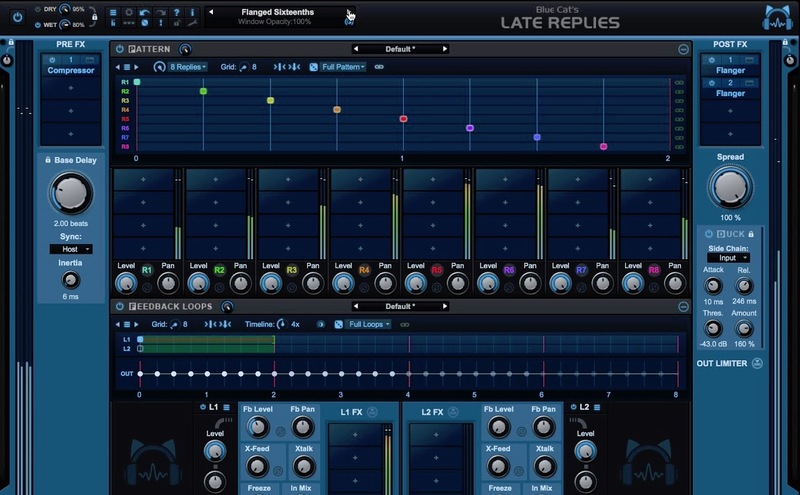 The edition palette gives the user the ability to create a composition that sounds exactly how they want it to. The global view is where the user can access their composition and the tracks that build up said composition. It allows for an audio tuning of each track and a virtual view of the score being played. 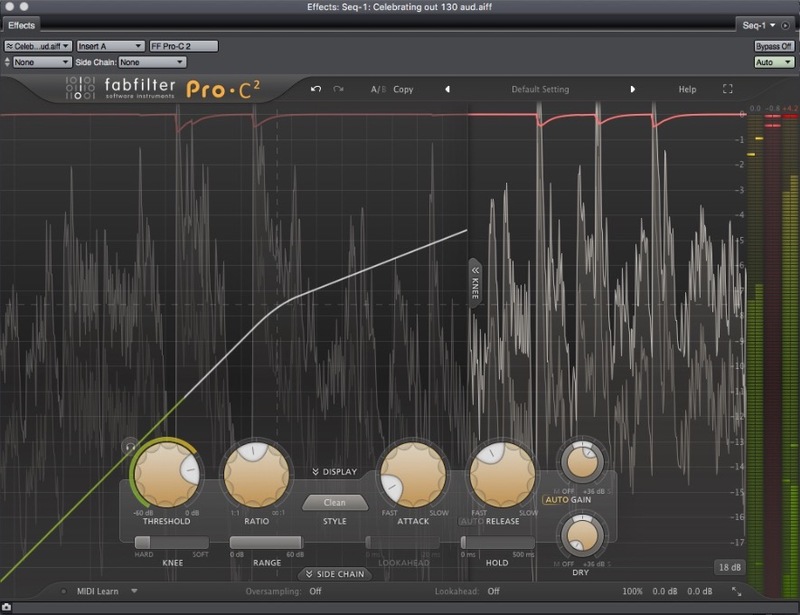 Located at the top of the Guitar Pro 7 interface is the toolbar. The toolbar allows you to quickly access the playing and view options and includes a direct access to the metronome, count-in, tempo, speed trainer, tuner, virtual instruments, global tonality and line in features. Guitar Pro 7 makes it possible to work on several files at the same time. Each file will appear under a tab above the score's window. Guitar Pro 7 also includes template layouts to make it easier for the user to jump right in and start composing. Some templates include: acoustic bass, acoustic piano, jazz trio, California punk band, progressive rock band and many more. Guitar Pro 7 also includes the ability to enable concert tone or transposition tone. The concert tone is what a conductor uses. The notes displayed are the ones you hear. The transposing tone is what the musicians use; it is mostly use for wind instruments, and refers more to the position of their fingers than to the actual melody. Guitar Pro 7 can handle a virtually unlimited number of simultaneous tracks. The instrument you choose determines what type of staff you get. Once you have selected an instrument, Guitar Pro 7 sets a range for the instrument, and the notes that are out of range may appear in red. It is possible to apply change of tempo, volume or pan anywhere you want in your track through the automations menu. Automation can be applied to one track or to your master track. Guitar Pro 7 offers two audio technologies for playback of a composition: the RSE and MIDI. The RSE (Realistic Sound Engine) is a unique technology. It relies on sound samples made from genuine guitars, bases, drums and about a hundred other instruments recorded in professional studios. The RSE allows for realistic playback of scores. The default playback mode is RSE, you can access playback in MIDI mode through the preference tab within the GUI. Edit and create professional looking scores: you can edit your notes directly on the standard score or on the tablature. All the usual musical symbols pertaining to the guitar and to other stringed instruments are available. Reading music scores & tabs: Guitar Pro users can play back, listen to and view any scores, to write music or learn how to play new songs. Tools that simplify songwriting: chord / scale generator, lyrics editor, polyphonic tuner and virtual instruments are included for composing. 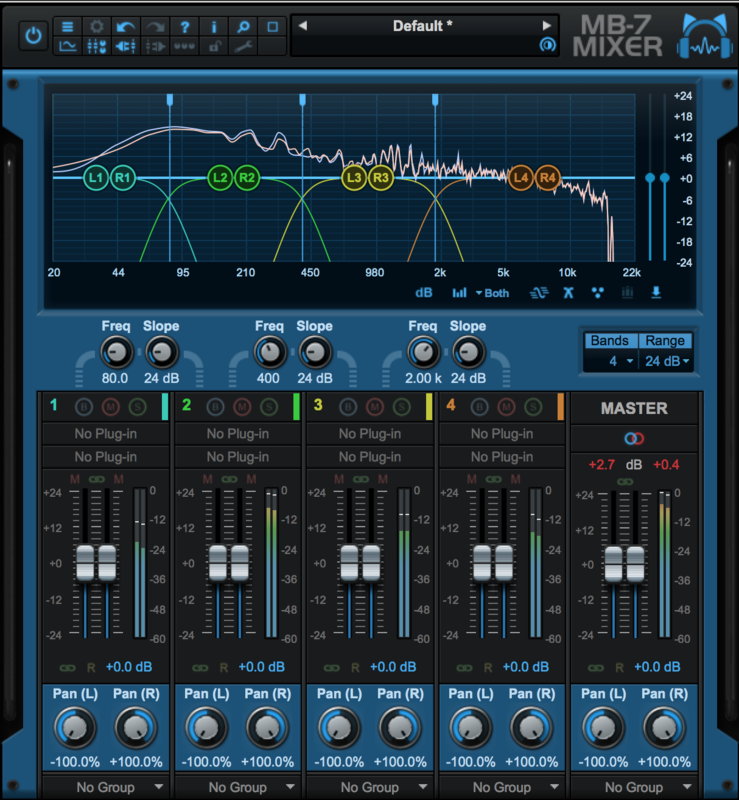 Audio Mixing: The audio engine offers more than 100 world-class licensed soundbanks, pedals and amps. Choose and modify your sound from over 1000 different combinations of soundbanks and effects chains. Sharing and printing files: easy to print and email scores. Line In: Plug your guitar in and enjoy the built-in effects and amp models. Play along to backing tracks to learn your favorite songs. Audio output formats: MP3, FLAC and OGG. Polyphonic tuner: just one brush-down stroke allows you to check the tuning of all six strings at once. Stereo sounds: You can choose between mono and stereo for all acoustic instruments, as well as add automatic spacialization to drumkits. Lock your files: you may lock your file to prevent any accidental modification. You may also add a password to it, to keep it from being opened or edited. MIDI and MusicXML formats: imports and exports in MIDI and MusicXML formats have been improved for better compatibility between Guitar Pro and other musical software programs. Guitar Pro 7 has opened me to new possibilities of learning music. 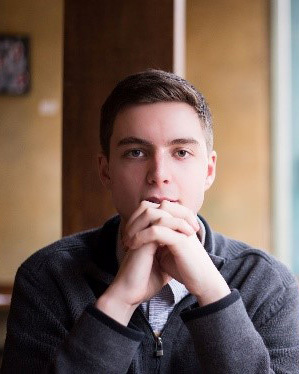 I have been actively learning music for 10 years. Guitar Pro has enhanced my learning process immensely. It has also helped me develop more coherent lessons for my students. I have been teaching guitar, bass and trumpet for 2 years and I regret not using Guitar Pro in my lessons. It is the perfect learning tool. Being able to learn songs with both the tablature and notation displayed is great for someone who wants to learn how to read music and understand music theory quickly. The ability to slow down each music score allows for very structured practice and learning techniques. One of my favorite things about Guitar Pro 7 is how easy it is to go on a website like 'ultimate-guitar' and download a full music score for virtually any song you can think of. This is allowing me with the opportunity to easily expand my repertoire in turn making me a better musician. The chord diagrams and scale engines are great for composing original scores in addition to expanding your knowledge of how chords and scales work together. Being able to have multiple projects open at once is a great feature; it makes it easy to be able to compare scores, learn full albums, etc. Being a trumpet player, the concert tone and transposition tone are very useful features, especially when I am accompanying a rock band. 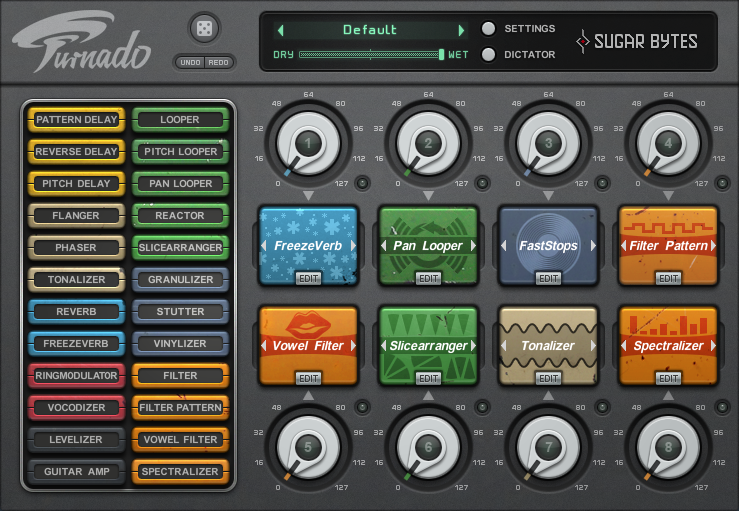 The plug-in function of Guitar Pro 7 makes it easy to just jump right in and start practicing. No opening other programs to create a solid sounding guitar tone as several soundbanks, effects and presets are available for you to create quality sounds. With a built-in polyphonic tuner, tuning becomes quick and painless. One small thing that I wish was included would be the ability to tune to 432hz. One other small thing I would like to see is a customizable page of 'hot keys.' Although, each function has a roll over image that reveals the hot key; it would be nice to be able to customize the hot keys to your liking thus enhancing your workflow. Overall I am beyond happy with Guitar Pro 7 and will be using it frequently in the future, it makes the process of learning music intuitive and engaging.